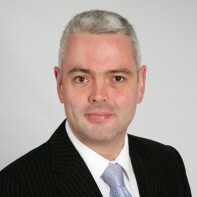 Paul O'Neill is standing as an independent candidate in Cork East. A businessman and financial adviser, the Bandon native is hoping that his expertise will boost his chances at securing a seat in the four-seat constituency. O'Neill's website unashamedly states that he has never had any desire to be a politician but, once the government committed the "ultimate sin" by creating NAMA, he decided that he would put his own name forward this time around. O'Neill holds a BBS (Accounting and Economics) from the University of Limerick as well as an MSc in Investment and Treasury from DCU, a Higher Diploma in Economic Science from St. Patricks College, Maynooth and a Qualified Financial Advisor (QFA) accreditation.